High Thorn under Will’s Hut passing Harlow Bush to the tank road. South passing Robin Hood’s Butts to Sandy Slack Head, west at Elm Ledge crossing Black Beck Swang peat pits to Siss Cross Road. This very worn 10C Anglo Saxon cross sits beside a minor road at Low Hawsker. Much of the detail is lost. The drawing below was published by W G Collinwood in 1911. The church is an ordinary building, raised on a considerable elevation. The sexton being engaged in harvesting, we were unable to procure the key, but easily found admission by the window, shewing, as in good King Edgar’s time, that there is no dread of dishonest or sacrilegious intruders. 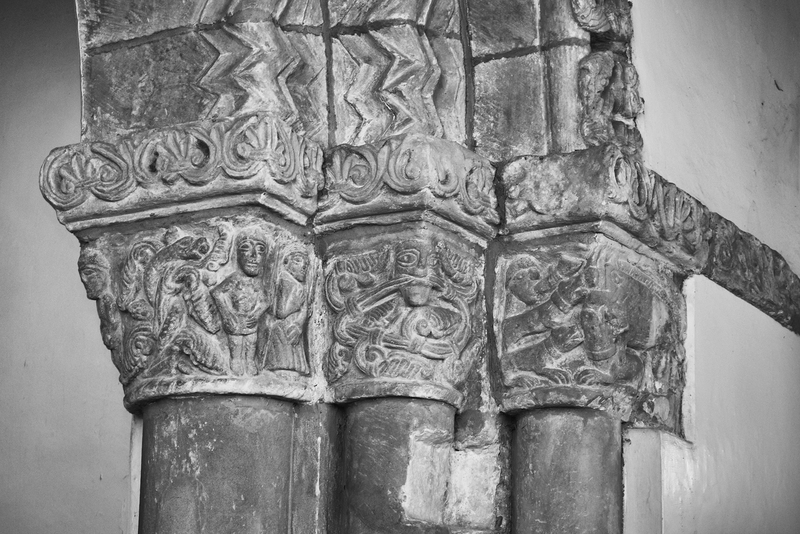 We were exceedingly well paid for our escalade, by the unexpected and therefore agreeable discovery of a noble specimen of early Norman (if not Saxon) architecture, in the round arch dividing the chancel of the church from the nave. ST MICHAEL. Nave and chancel and bell-turret. All of the restoration of 1902-3, it seems, except large patches of masonry which look Norman. 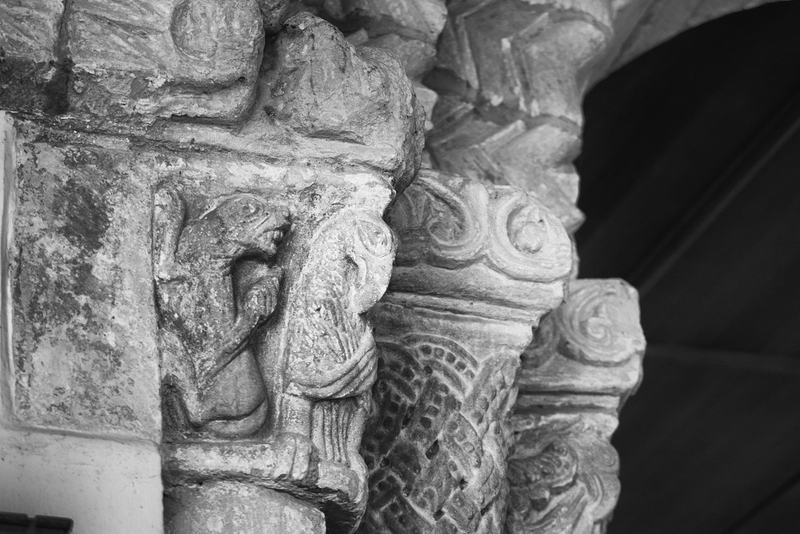 They are indeed; for the chancel arch is a quite spectacular Norman piece of three orders. 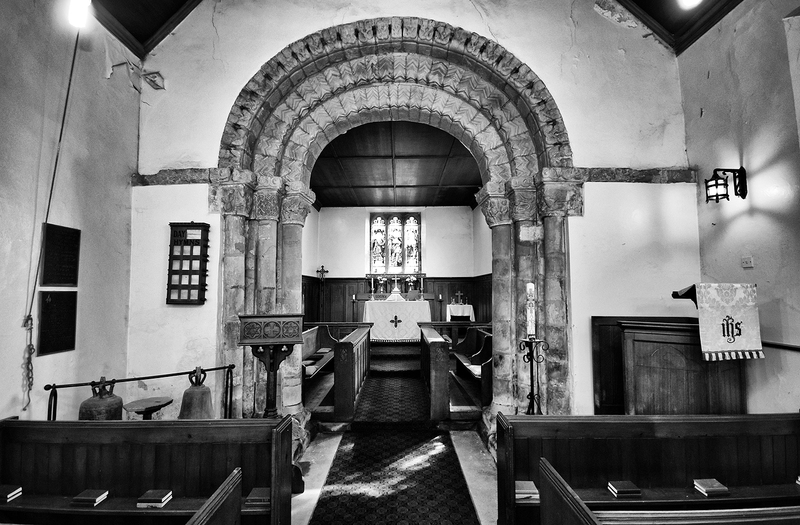 I was keen to visit this beautiful church after reading Rita Ward’s paper, The Romanesque Chancel Arch at Liverton. 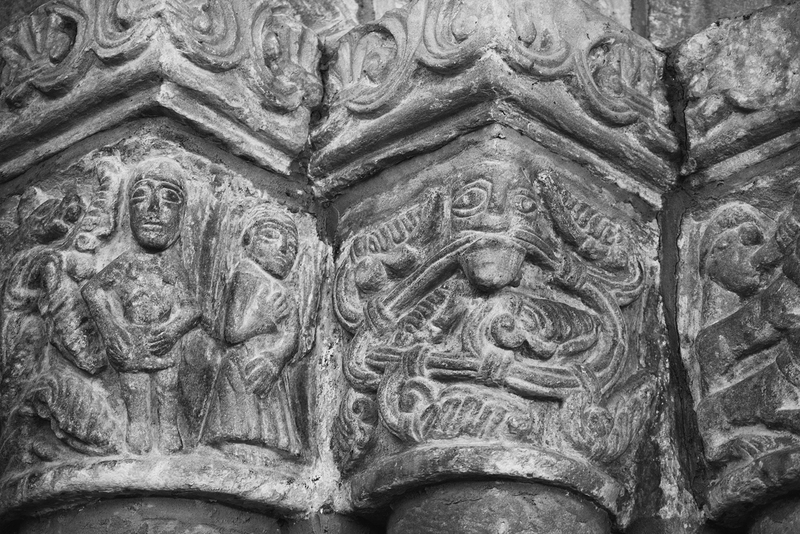 She explains how the arch has the appearance of a teaching scheme, the right side of the arch depicts the fall of man and the potential for redemption. The left hand side of the arch is purely symbolic, to be read as a metaphor of spiritual things, in the anagogical sense. 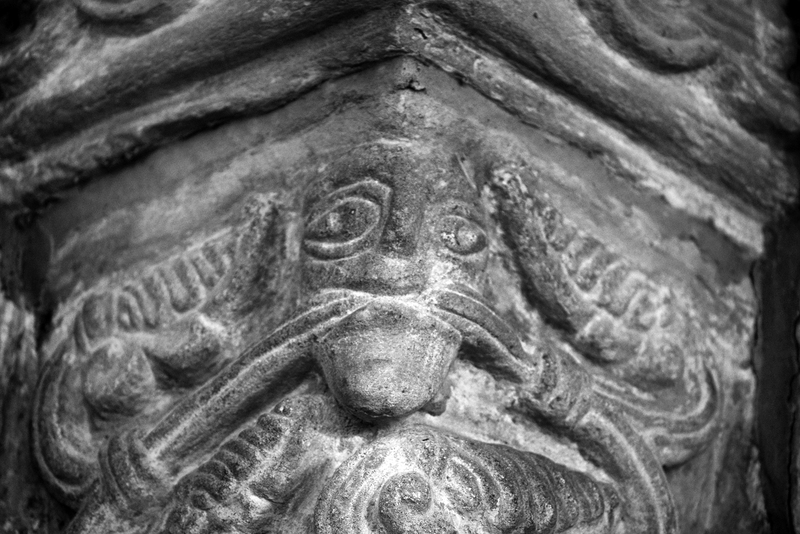 Eve and an Angel, foliate head, Hunter and horn The Green Man or foliate head is thought to represent Christ the Vine, the life giving blood and eternal life. The boar hunt. 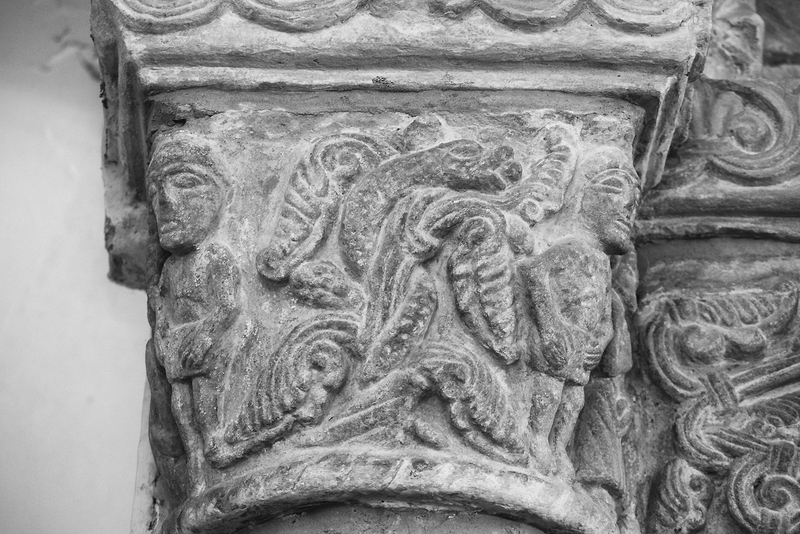 The boar symbolises the devil, the two good dogs stay with the hunter, the third dog strays and is trampled by the boar. The snake-like Wyvern. In the classical Roman tradition, the snake shedding its skin is a suggestion of eternal life. 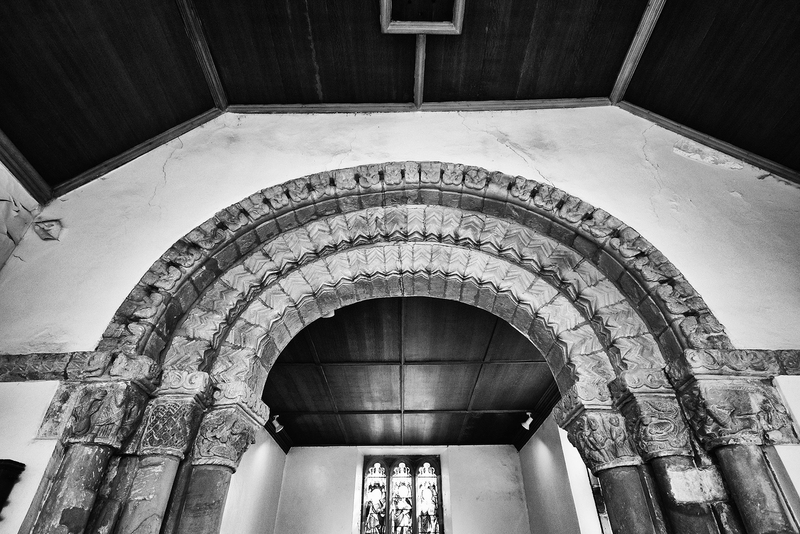 The Chancel Arch is made of three orders. 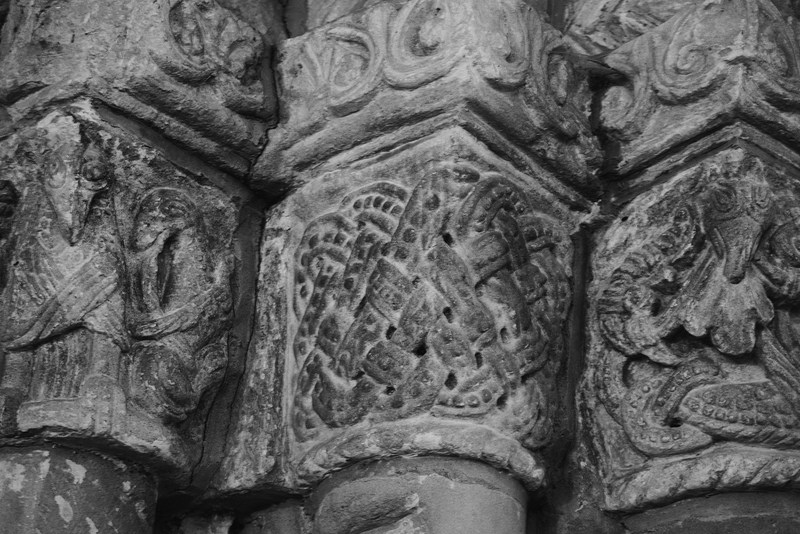 The two inner orders of chevrons suggest the power of God in the altar, the third, outer, order is comprised of bestial masks emitting foliage suggesting resurrection and heaven. There is a lovely old photograph on the East Cleveland Image Archive of the arch prior to the restoration of the church. Thanks to Karen Ward, Church Warden, and the parishioners of Liverton for their warm welcome and allowing me to photograph their beautiful church. 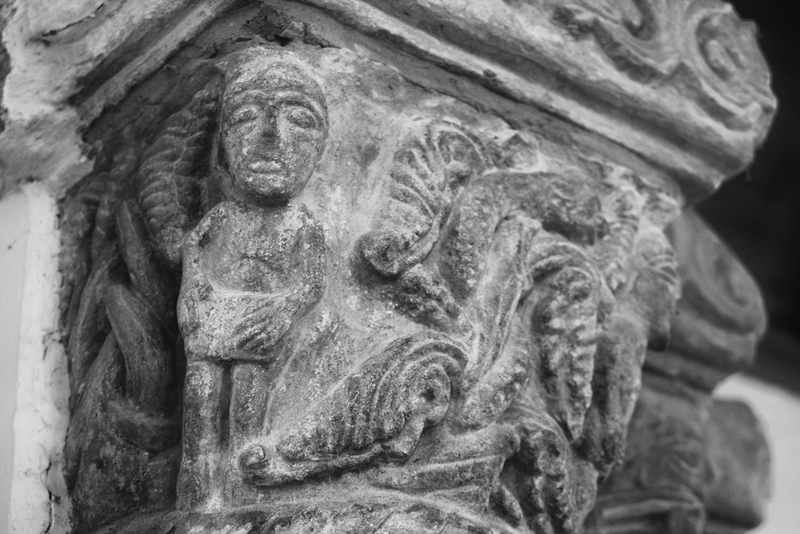 Perhaps one of the oldest customs is that in connection with St. Mark’s Eve. The belief is still held that those who watch the church porch at the hour of midnight on that eve, will see pass in front of them and enter the church the spirits of all of those friends who will die during the coming year. With some it is held to be a sine qua non that the watcher must sit within the porch; whilst others hold four cross roads to be equally efficacious, alway provided that the body of one who had committed suicide, with the orthodox stake driven through the chest, had been buried there, that being the end of suicides in the good old days. It should be borne in mind that there are two slight penalties attached to this porch or cross-road watching. Firstly should the watcher fall asleep, there is every probability if its being the sleep of death. Should he however, manage to awaken from such a lethargic slumber it doesn’t amount to much, as he will assuredly die within the next twelve months. Secondly, whoever tries this game once must continue to do so ever afterwards. There is no escape; the spell upon them is said to be too strong to withstand. Don Spratt reported that the skeleton of a red deer was found during the drainage operations in peat near the north shore of the prehistoric lake at Seamer Grange Farm. Pollen analysis of the layer indicated a date of approximately 8000 BCE. He also reported that a flint scraper and a piece of deer antler were ploughed up at the end of a small boulder clay peninsular which projects into the prehistoric lake from its southern shore.